You wouldn't know it from the commercials on TV, but not all pickup trucks these days are thundering beasts built to tow your house off its foundation. There's also a "midsize" class of trucks, and the 2014 Toyota Tacoma is arguably its most distinguished member. For nearly a decade now, the current Tacoma has been meeting the needs of truck shoppers who value efficiency and manageable dimensions. 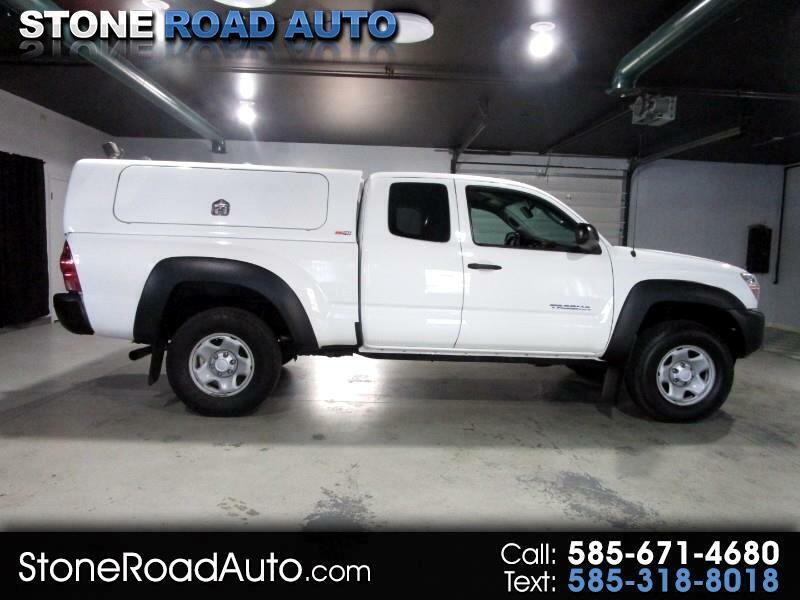 And although the 2014 model is largely the same truck that debuted way back in 2005, the past few years have brought new technology features that keep the Tacoma feeling fresh. The big news two years ago was the introduction of Toyota's touchscreen interface with "Entune" mobile apps and navigation, but availability was limited to the pricey Double Cab V6. Last year, a basic 6.1-inch touchscreen (sans mobile apps and navigation) became standard on all Tacoma models, even the stripped-down 4x2 Regular Cab. For 2014, the standard touchscreen is joined by an optional enhanced version for both Access and Double Cabs, and these models also offer mobile apps and navigation. The only bummer is that the Regular Cab's touchscreen can't be upgraded from the standard, no-frills specification. Whether you care about that stuff or not, chances are you'll like the Tacoma's versatile skill set. If you just need a simple light-duty work truck, the base four-cylinder Regular Cab promises years of reliable service, and you can even get it with four-wheel drive in colder climates. If you're looking for a backseat as well, the extended Access Cab and four-door Double Cab should fit the bill, and they bring the powerful V6 engine into play. There are also two bed lengths, multiple trim packages and various dealer-installed accessories to choose from. In short, there's a Tacoma for pretty much everyone, unless you really do require the massive capabilities of a full-size truck. If you're looking for Tacoma alternatives, there aren't many these days, though the new 2015 Chevrolet Colorado is waiting in the wings. For the 2014 model year, its only direct rival is the 2014 Nissan Frontier, which is similarly well-rounded but more basic inside -- and no longer offered in regular-cab form. The other truck on the Tacoma's radar is the 2014 Honda Ridgeline, a cleverly designed crew-cab rig with relatively limited capabilities due to its car-based underpinnings. Overall, the Toyota remains a can't-miss choice in this sensible segment. You probably couldn't tow a space shuttle behind it, but for most real-world jobs, the Tacoma's got you covered.